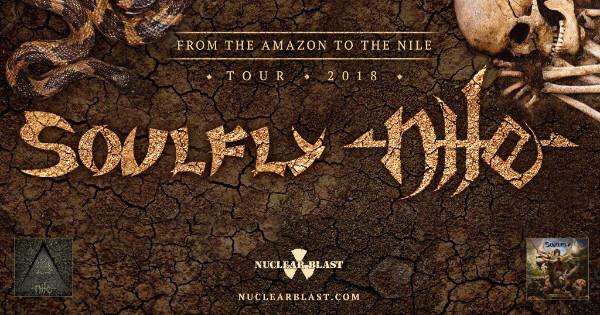 Soulfly and Nile will be co-headlining a thirty-five date U.S. trek in the spring dubbed the "From The Amazon To The Nile" tour. The full schedule can be found below. Soulfly guitarist/vocalist Max Cavalera states, "From the Amazon to the Nile, it's gonna rage!" "We are thrilled to have the opportunity to bring Nile fans in the States a last round of touring supporting the 'What Should Not be Unearthed album', comments Nile founding member Karl Sanders. "Teaming up with Soulfly is going to make for a killer package sure to please Metal Fans.